“Building a Safety Net for the 21st Century,” mainstage at the 2016 Personal Democracy Forum. More here on our blog. 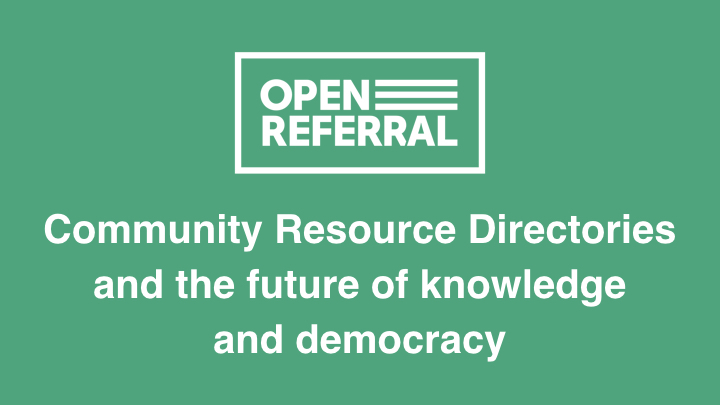 “Community Resource Directories and the Future of Knowledge and Democracy,” from the 2017 Data on Purpose conference.